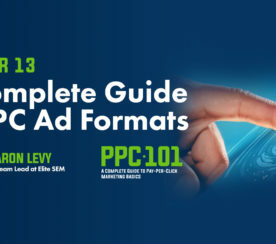 Ready to do something really groundbreaking and revolutionary in social media marketing? I’ve got just the thing: customer service. And while there are a growing number of other awesome companies who feel the same way we do, there’s still a pretty big gap between what customers want from social media customer service and what many brands are delivering. That’s where the whole “groundbreaking and revolutionary” thing comes in. Exceeding expectations may be easier than you think. Treat customers like real people and genuinely care about their issues (and fixing them) and you can majorly wow them. And if Buffer’s story is any indication, all that love will really pay off for you. In this ultimate guide to using social media for customer service, we’ll discuss everything from why social media customer service is so important to using the right tone and the right tools to measuring your results. It’s simple: Customers want, expect and are prepared to reward great social media customer service, but not many brands are living up to their expectations. Only 36% of consumers that make customer service enquiries via social media report having their issue solved quickly and effectively. When companies engage and respond to customer service requests over social media, those customers end up spending 20% to 40% more with the company. 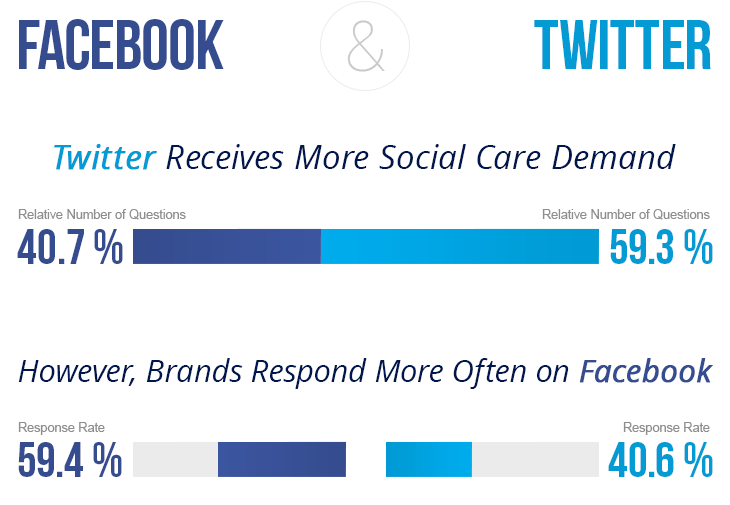 71% of those who experience positive social care (i.e., a quick and effective brand response) are likely to recommend that brand to others, compared to just 19% of customers that do not receive any response. 43% of consumers say that a direct response to their questions is most important at a social media site. 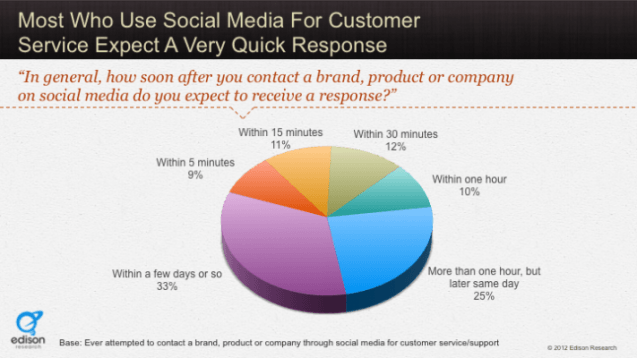 31% expect the social media site to provide direct access to customer service representatives or product experts. 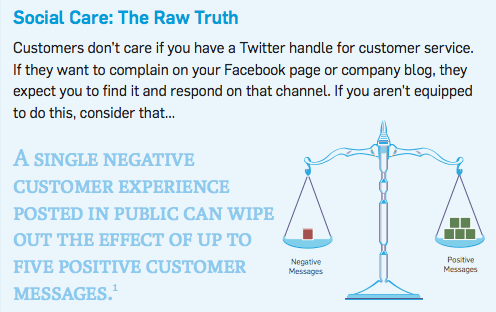 86% of social media customers would like or love to hear from a company regarding a complaint. 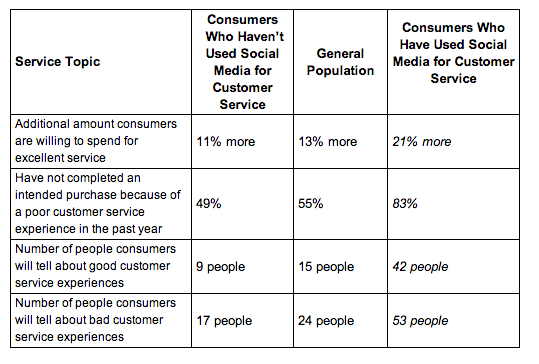 Even more intriguing is how social media customers diverge from other customers in terms of expectations. As you can see in this chart from an American Express study, social media produces more reward for wowing customers (yay, social customers tell way more people about good experiences!) 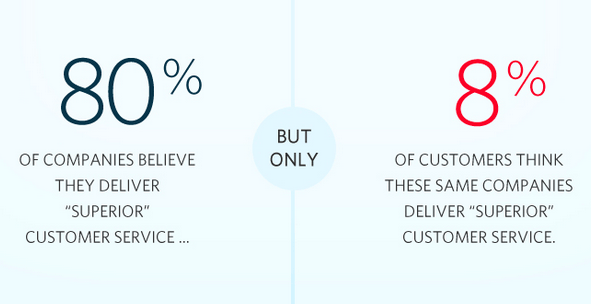 but also more risk for failing customers (yikes, 83% have bailed on a purchase because their service sucked!). Then there’s the small matter of every single interaction being open for public view when it comes to social media. More than 1 million people view tweets about customer service every week, and roughly 80% of those tweets are negative or critical in nature. And one bad interaction can wipe out even more good ones. But get the social media buzz going in your direction and the possibilities are limitless. So now that we know the opportunity we have in amazing social media customer service, let’s figure out just what customers want and expect on social media. The No. 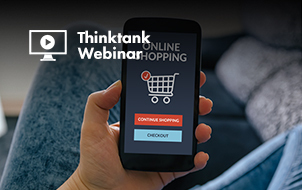 1 thing customers want? A fast response! According to an Edison study, 42 percent of consumers expect a response on social media within one hour, and 32% think it should be within 30 minutes. In other words, it’s more important to social media customers that you be fast than that you be correct. Now that doesn’t mean we brand representatives should rush to give speedy, useless answers, but it does show just how important speed is for social media customers. 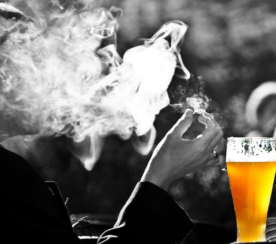 At the very outside, you’ve got just a few hours to close the loop. The vast majority of Twitter and Facebook users – 83% and 71% respectively – want a response within the same day of posting. 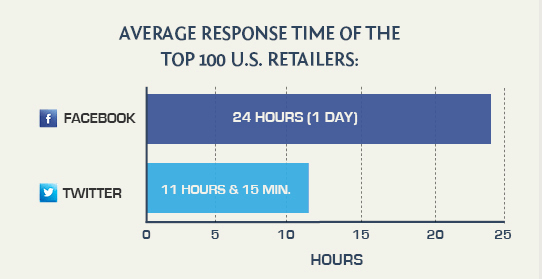 And yet, lots of brands aren’t picking up on the urgency customers have. 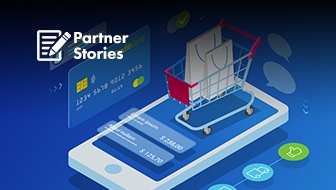 This one’s tougher to quantify, but just as important as speed – especially knowing that 70 percent of the buying experience is based on how a person thinks they’re being treated. It’s easy to feel like an insignificant speck in a sea of social media, but your customers need to know that they’re not. They want to know that their issue is as important to you as it is to them. Simple phrases like “I hear you” or “I’m sorry” can quickly transform a conversation and begin to build a real relationship. If you goofed, ‘fess up. If you don’t know the answer yet, go ahead and say so (remember that whole speed thing from earlier?) – just keep in touch until you do. At Buffer, we’ve had a lot of experience in the being-real-with-customers-even-when-it’s-tough department. Here’s a thorough overview of what we did right (and what was just OK) in handling a difficult security situation last year. Making it personal can help, too. Our Happiness Heroes regularly add a personal touch by making sure to add their first names to their replies or comments (you’ll see this on Twitter especially). That way, people immediately feel that they are talking to an actual person and not a talking wall or logo. Generally, we all want help in the same place where we reach out and ask for it. If a customer asks for help on Twitter, they want their answer in the form of a tweet, not an email. If they post a question on Facebook, they don’t want to be told to call an 800 number. Getting shuffled around is a customer pet peeve both off and online, according to an American Express survey (and also, everyone I’ve ever met). So it helps to know where online customers are looking for help. 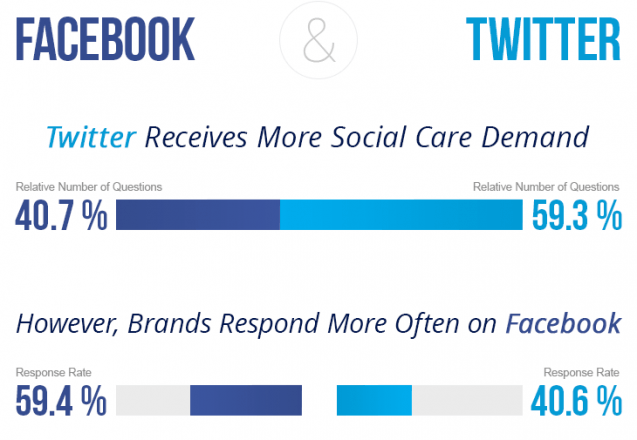 Until recently, Facebook ruled when it came to customer care – but these days, Twitter is where you’re most likely to hear from a customer, according to the most recent information from SocialBakers. Customers might also reach out on your blog, ask questions on another social media site where you’re active or even post comments on forums or message boards specific to your industry. Study your own patterns for each network your customers are active on and make sure you plan accordingly. 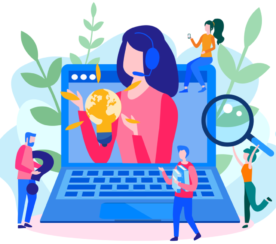 For bigger organizations that need a full-service social care solution, options include tools like Buffer favorite SparkCentral, as well as Salesforce Social Hub, Zendesk, Freshdesk and more. But even as you monitor, know that not every mention – or even every complaint – is an invitation to enter a conversation. 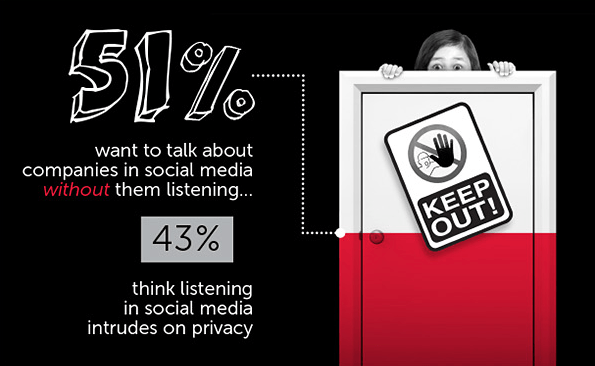 A Netbase survey that asked consumers how they feel about social listening from brands revealed that more than half want to be able to talk about companies on social media without them paying attention – many even believe brand listening is a direct invasion of their privacy. Understanding the difference between when to step in and when to just listen can be tricky. It helps to work on cultivating a strong sense of empathy. Don’t just listen; understand. What’s the real meaning behind the comment or question? Consider the context of the message. Is it a conversation with friends? A chance to vent? Only engage when you can truly deliver value. Focus on listening that doesn’t intrude but instead builds insights and relationships. So how will you measure your progress when it comes to wowing customers on social media? 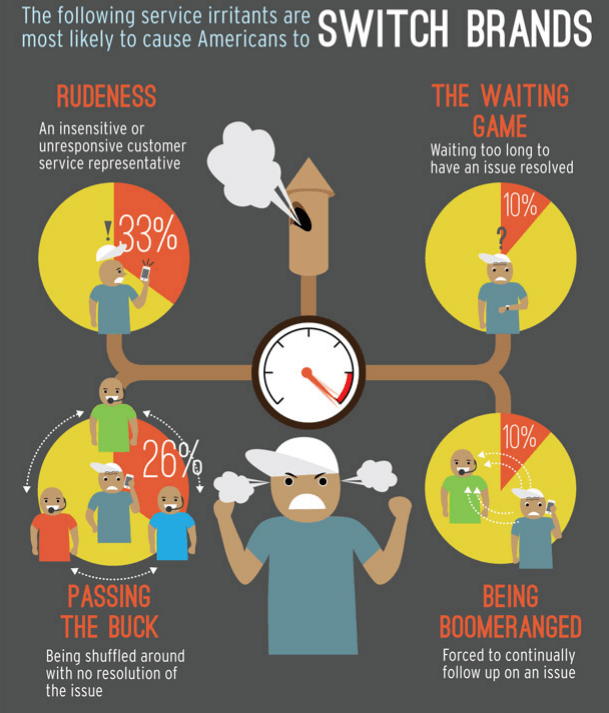 Here are a few customer service metrics to start with. 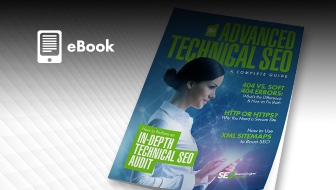 The obvious place to start is here – how many customer requests, issues and problems are you responding to every period? For example, in January 2013, Buffer sent 9771 emails and 5700 tweets and had 265 live chats (wow!). Total volume tells you a couple of things: how big the workload is, how many people you need on your team to keep customer happiness high and (over time) whether you’re answering more questions or fewer. Inbox zero is a great feeling for anyone, but it’s the lifeblood of customer service. Measuring resolution rate lets you know how many of the total issues your customers have that you’ve resolved per reporting period. We’ve established that speed is really important in social media customer service, so it only makes sense to measure timing issues like average time it takes to answer a question or resolve a problem. Here’s an example of how we measure these numbers at Buffer and how we did last month. 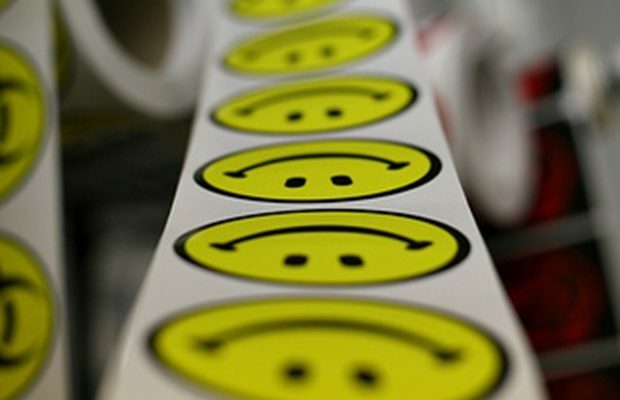 Last but definitely not least, it’s important to get an idea of how customers are feeling about your brand overall. You can quantify this by collecting your social media mentions per reporting period and then analyzing them by sentiment, like positive, negative or neutral. 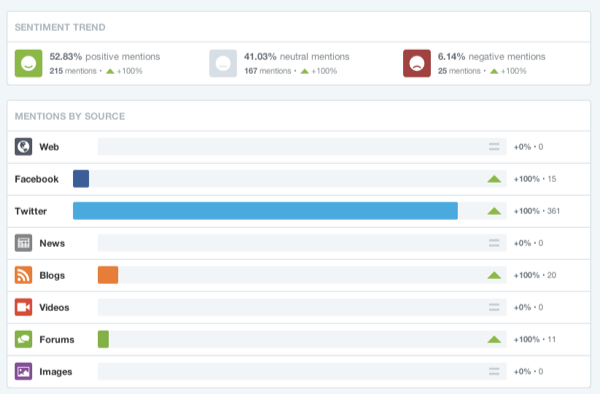 Here, you can see how Buffer partner Mention collects this information in a report that also shows all the channels your mentions are coming from. 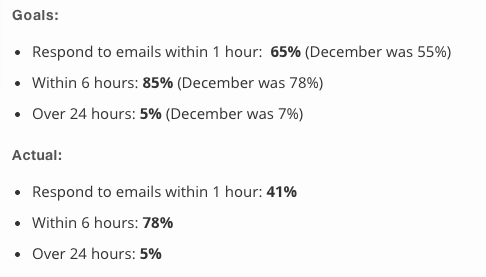 When it comes to email, we use Hively at Buffer. In short, after every email reply we send, the person on the other end has the option to give us a rating of how they felt. Not only can we see if people are happy, satisfied or unhappy with our support and product, we can also see how many times we managed to deliver a little bit of wow. As an author, consultant and speaker on the topic, it’s safe to say Peter Shankman knows a thing or two about customer service. But even he was blown away after he sent this joking tweet to his favorite steakhouse. 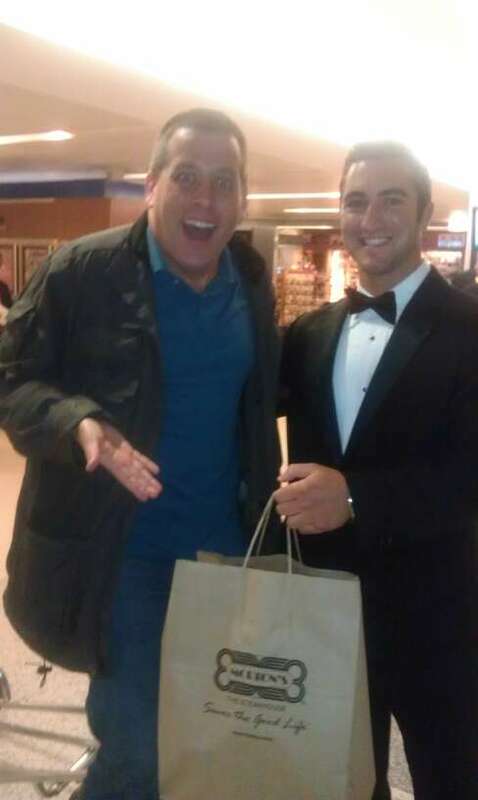 To Shankman’s utter disbelief, a Morton’s staffer drove 23 miles to the airport to greet him with a full meal. Shankman admits that the “stunt” was meant to be out of the ordinary – and that’s OK. Customer service, he says, isn’t about telling people how awesome you are, it’s about creating stories that do the talking for you. 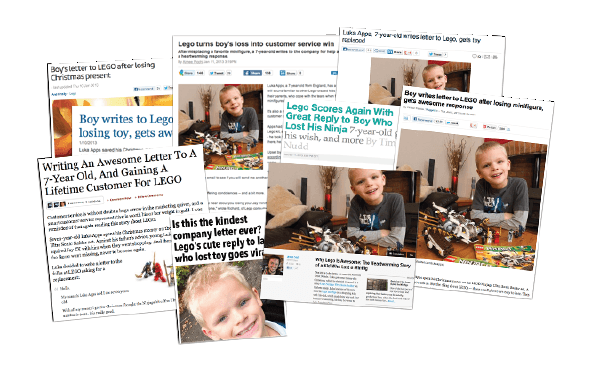 Want more great examples – including one that garnered press like this? Check out 10 Customer Service Stories That Will Restore Your Faith In Humanity to get inspired. 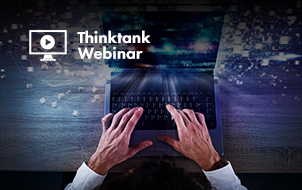 Most companies view social media as a marketing medium, but customers expect more – and they’re willing to reward brands that go the extra mile. Using social media as a customer service channel allows you an additional way to wow customers that can be worth its weight in gold. P.S. If you liked this post, you might also like The 3 Psychological Triggers that Matter to Happy Customers and Turning your Marketing Upside Down: Why You Should Put More Focus on Existing Customers.